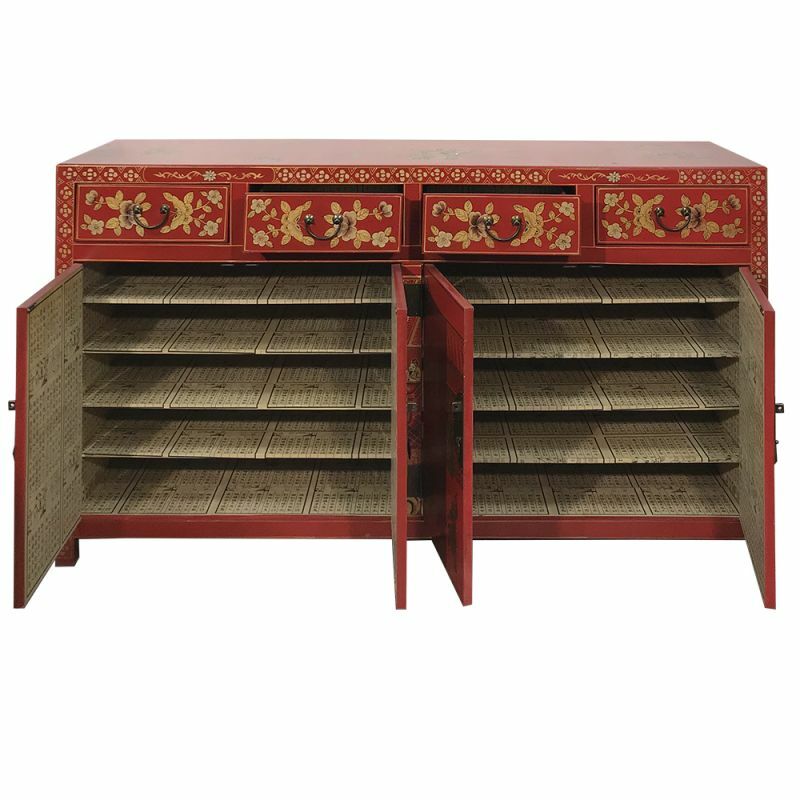 Buffet chinese leather 4 doors and 4 drawers. 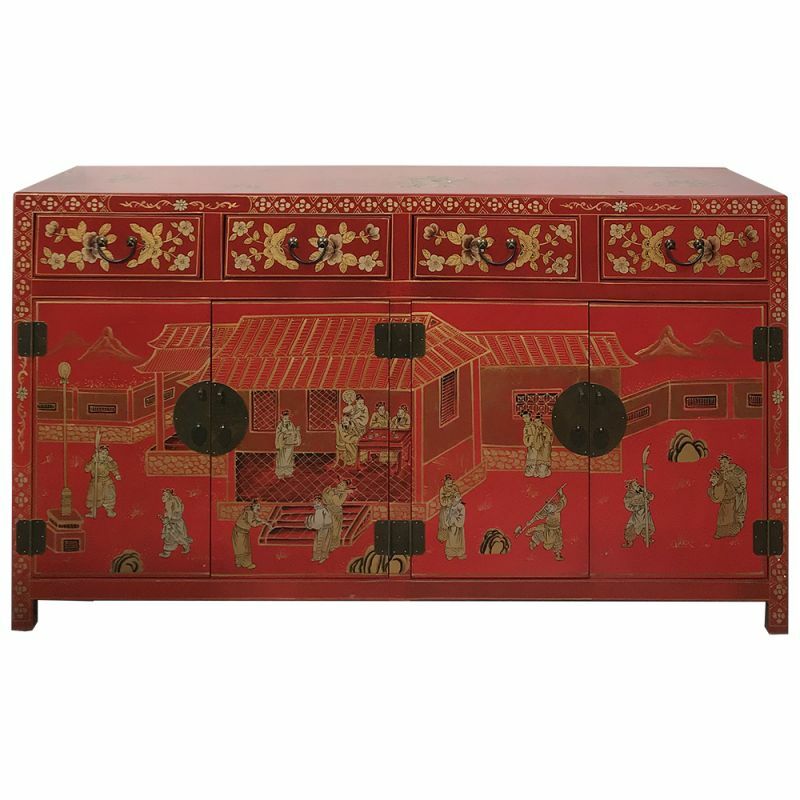 The fittings are carved and cut to each corner of the door give this buffet a special charm. Dimensions: L152 x P46 x H88 cm. 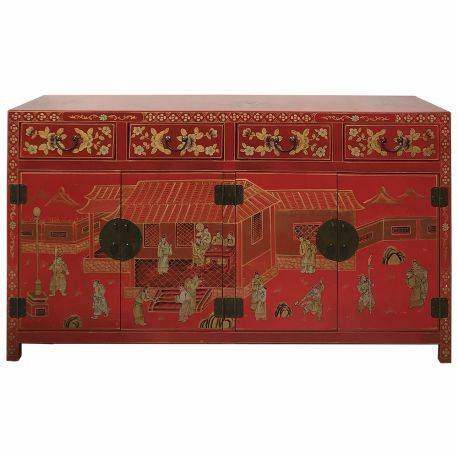 Buffet of China with 4 doors and 4 drawers. Two interior shelves allow large storage possibilities. Drawings and hand-painted on leather reconstituted. Furniture non-removable.